The Dog-Onesie from The Belvoir Rug Company is an all over Nylon-Lycra coat, designed to keep dogs clean. The high quality fabric is extremely resilient to every day use and while not waterproof, is fully breathable and quick drying. In the grooming salon, this may be used to ensure your finished dogs stay as clean as possible while waiting for collection, or if they need to be walked while waiting. For Showing, use either before or between shows to ensure the coat as clean as possible and keep feathering clean. For pet dogs, keep your dog cleaner on walks, especially those prone to rolling in the most disgusting things. Its much easier to wash this than the dog. Keep the worst of the muck off your dog, especially if it has a love of Mud, Puddles, Fox Poo, Horse Poo, Cow Poo. 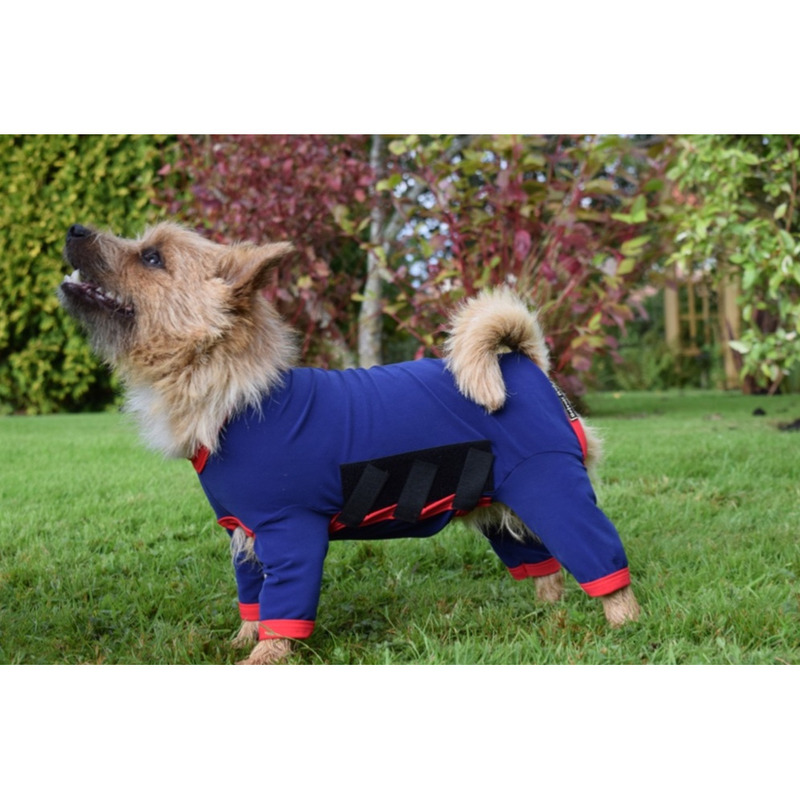 The Dog-Onesie is easy to put on your dog, simply open the tummy flap, pop over its head, pull the legs up on your fingers like socks and drop the dogs legs through, then finally re-attached the tummy flap securely in place. 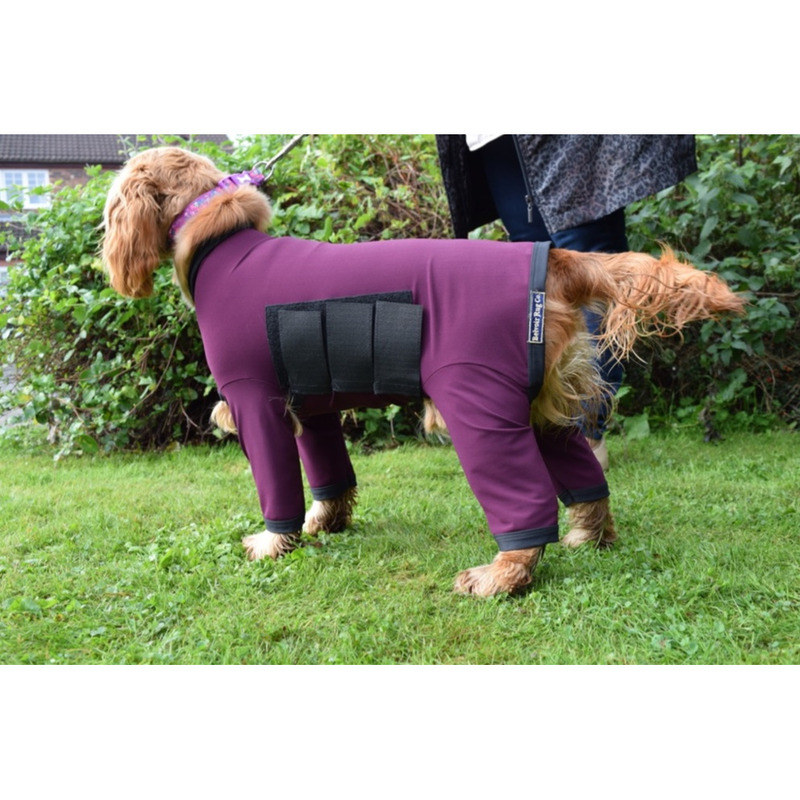 Our Dog-Onesie can also be used to help dogs with allergies, protecting them from Grass etc, for Dogs which shed hair whilst in and around the house and for dog post surgery. Battles first started manufacturing and wholesaling veterinary products in Lincoln over 175 years ago. This impressive history has been achieved by a continual process of innovation and evolution to encompass the needs of their customers.